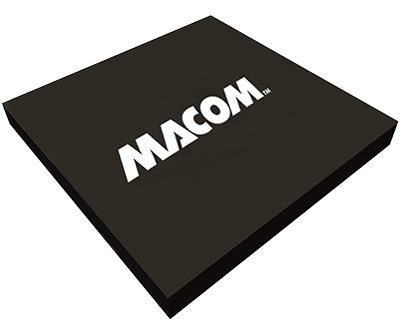 MACOM's four stage 37.0-40.0 GHz SMD GaAs MMIC power amplifier has a small signal gain of 25.0 dB with a +35.5 dBm Output Third Order Intercept. This MMIC uses M/A-COM Tech’s GaAs PHEMT device model technology, and is based upon electron beam lithography to ensure high repeatability and uniformity. The device comes in a RoHS compliant 7x7mm QFN Surface Mount Package offering excellent RF and thermal properties. This device is well suited for Millimeter-wave Point-to-Point Radio, LMDS, SATCOM and VSAT applications.